There was recently a fashion show in India where pellet gun injuries were used as an “effect”. To showcase “Kashmiriyat”, none the less. It takes time for such things to go down! In other words, “an Indian fashion house used injuries caused by Indian forces to Kashmiris as a make up effect to sell expensive clothing”. I can feel the lump in my throat. 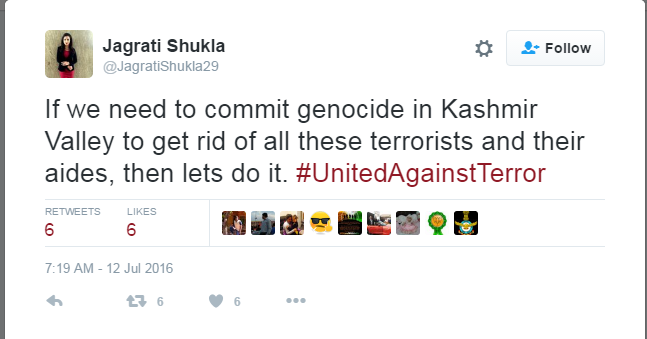 India for long has been trying to appropriate Kashmiri culture, but this level of insensitivity is irksome. And frightening. There were simpler times when we had to deal with movies which dealt with Kashmiri stereotypes and Indian directors’ fancies of Kashmiri people, like belles in heavy costumes singing in shikaras, to the pretty shepherdess or people who live lives so isolated they cannot exist outside the movies. Now, it has become plain sinister. This summer, Indian forces indiscriminately shot pellet guns at unarmed people destroying lives and families of victims, and now some random designer thought it appropriate to use the injuries for “effect”. Using a form of torture, or a fancy weapon used to blind Kashmiri populace en-masse, to represent Kashmiri culture may be a new low, but somehow fits in the unequal relationship India has with Kashmir. Since India has been hunting Kashmiris, and allowed its laws to do so, for the last 26 years atleast, it is just collecting trophies now. A model walking down the ramp with a bandage and a faux wound may look dramatic, but where is the empathy in that? In April when Chetan Bhagat wrote a mindless (and heartless) letter to Kashmiri youth, the imperialist over tones were barely veiled. With this fashion show, the designers have sought to normalize the torture and victimization of Kashmiris. 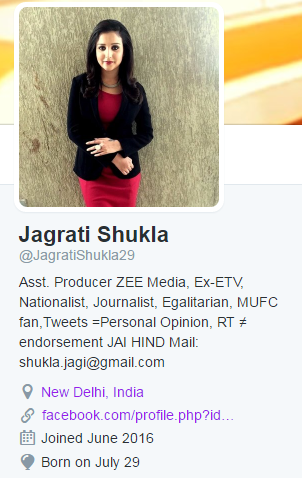 So as if patronizing was not enough, India seeks to trivialize and mock the suffering caused by its armed forces. If I am reading this correctly, is death the new fashion? Death is a part of Spring – Summer collection? I would be amused at how this sounds, had it not been so tragically accurate. Death was a part of the Kashmir’s spring and summer this year, and instead of apologizing, or as we keep repeating, empathizing, India has designers making light of it. It is this culture that allows the unsuspecting Indian to continue with the occupation of Kashmir and churn newer and fancier justifications for it. That the whole culture of Kashmir can be treated as a commodity to be modified and sold as per convenience. In this is a sense of superiority that the military occupation affords the creative minds, where voices unheard cease to exist. We cannot however ignore the morbidity that the designers chose to imply. By calling pellet guns a part of Kashmiri culture, they have given it the all the necessary justifications an imperialist would like. Had this been done as a protest, it would have implied that India is forcing the pellets on people of Kashmir and thereby brutalising their culture and history. 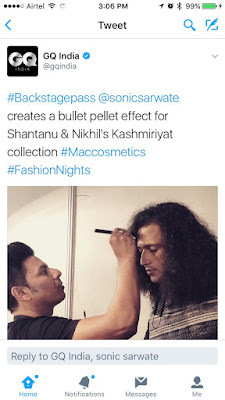 But done otherwise (and with commercial intents), the implication is that “we rule Kashmir with the stick and guns, and that is so ingrained in the discourse that it is an acceptable facet of the populace.” The fashion show is a celebration of this gift to Kashmir by India. Perhaps the designers thought the pellet would be the new paisley, just another pattern from Kashmir, no matter how removed from humanity it may be. And to draw this connection between the motif and the macabre is the ‘achievement’ of their art? The very idea that the lives of Kashmiris can be so cheap that injuries inflicted by an unpunishable army can be glamorised and weaponry used to blind and maim be celebrated is a major element of this nationalistic pride that people gain by “holding on” to the territory of Kashmir. In the same sense, it is also the cause that lends rationale to calling for a genocide in Kashmir (as done by an official handle of a Govt agency and a journalist with mainstream media, among others). This is utter disgrace. An affront to humanity and indeed, art.